defspiral (formerly known as Transtic Nerve and then the Underneath) is a Japanese rock band formed in 1996 and currently signed to Avex Mode in Japan and JShock in the United States. As of 2008, the band has released four full-length records as Transtic Nerve, and one full-length record as the Underneath. The groups lineup has remained consistent since 1996. As Transtic Nerve, the band played more straightforward rock styled music, but shifted to a heavier and darker style upon transforming to the Underneath. They've changed their name to "defspiral" in 2010. Transtic Nerve was formed in November 1996 with the lineup of Tal on guitar, Ryo on bass guitar and Masaki on drums. The band later recruited Taka as a vocalist and Masato, another guitarist. The following August, Transtic Nerve released their debut album, Transtic Vision. In 1998, the band was noticed by famed guitarist Hideto Matsumoto (formerly of X Japan) and signed to his label, Lemoned Label.The next year, Transtic Nerve released their first single, "Shindo", and their first major-label album, Cell Flash on Unlimited Records in July 1999. In 2000, the band released two more singles, "Into Yourself" and "Binetsu", both accompanied by lengthy tours enduring most of the year. After touring, the band released another single, "Manazahi no Mukou e", followed by an album, Recall, in March 2001.After touring in support of Recall, the band released another single, "Manatsu no Yoru no Highway Star" in late 2001. Between 2002 and 2004, the band saw very few releases, with only one original studio album, Raise a Flag in 2004. Following their 2004 release, the band transitioned into a new style with more metal influence, and in 2005 Transtic Nerve released an EP, Hole in the Wall, demonstrating the new direction. After a long pause in activity, Transtic Nerve resurfaced in 2007 with the announcement of a new band identity, the Underneath. The band saw no lineup change, but a deep stylistic change, moving to a heavier and darker style of music. 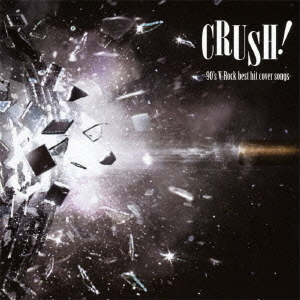 The band's debut would be the Taste of Chaos Tour 2008 across the United States, being one of the three Japanese rock bands featured on the years' lineup (the others being D'espairsRay and Mucc). Without any releases or concerts in their home country, the band performed a lengthy American tour. the Underneath eventually announced their first album, Moon Flower, to be released in March 2008, first in the United States on the newly formed JShock label, partly founded by Yoshiki Hayashi of X Japan. After the completion of the Taste of Chaos tour, the band performed for the first time in Japan at the Hide Memorial Summit. There, they played on the second day of the festival, alongside fellow Taste of Chaos bands D'espairsRay and Mucc, and other famous Japanese bands including X Japan, Luna Sea and Dir en grey. The band has announced that their album will be released in Japan, but no date has yet been set. the Underneath's first headlining performance in Japan took place on 13 June 2008 at Shibuya O-West. The band played along with fellow Japanese groups MarBell and DaizyStripper at Otakon 2008, on 10 August 2008 in Baltimore, MD. In November 2009, The band released their second album, entitled us in Japan. 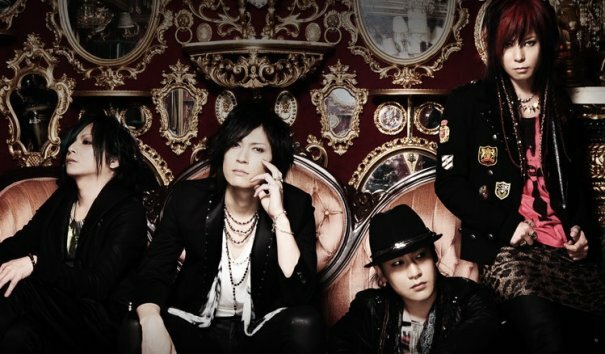 The band has announced that they will disband on May 3, 2010. They will be releasing one last single titled "Diamond" on March 17th, and will be having a disbanding tour called LAST LIVE 2010 "LAST SCENE". Before entirely disbanding, the Underneath, sans Tal, reunited under the name Wilma-Sidr to perform "Leave all Behind", the theme song for Kamen Rider Accel for the Kamen Rider Double soundtrack. "Leave all Behind" was released as a single on April 28, 2010. The Wilma-Sidr line-up then reunited under the name defspiral on Avex Group's Avex Mode label and released the single "DIVE INTO THE MIRROR", the opening theme song for TV Asahi broadcasts of Kamen Rider: Dragon Knight. Prior to the switch, Ryo had been serving as an arranger for songs on the Kamen Rider Kiva and Kamen Rider Decade soundtracks. 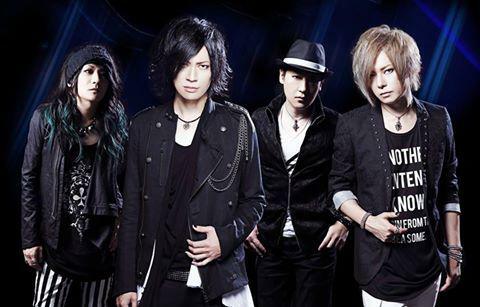 [Jrock] defspiral Shows You Its "BRILLIANT WORLD"
[Jrock] defspiral to Release New Album "Voyage"